SANTA CLARA, Calif.—November 15, 2018—A majority of micro VC limited partners and general partners seeking new deals say they expect to make an international investment in 2019, according to a survey by Silicon Valley Bank (SVB), the bank of the world’s most innovative companies and their investors. Two-thirds of LPs and GPs surveyed at the sixth annual Micro VC Summit, hosted by SVB and Cendana Capital in San Francisco in October, said they are looking for investments abroad in 2019. The survey asked investors to name which new regions they are considering that they haven’t previously explored, with 23 percent citing Asia, 18 percent saying Canada and 13 percent choosing Europe. In U.S. regions in which they had never invested previously, 18 percent said they are looking at the Midwest and Southern California, 13 percent said the Northwest and 12 percent chose the East Coast. The survey also found that half of GPs expected to raise a new fund in 2019. Asked separately about the VC fundraising environment, 38 percent expected it to become more difficult next year, while 50 percent expected no change. Many acknowledged that the overabundance of capital would lead to increased competition for deals and higher valuations. LPs that invest in VC-backed companies reported that they are nearly equally interested in life science/healthcare (48 percent) as they are in crypto/blockchain (45 percent). Ten percent said they are interested in investing in cannabis funds. Jim Marshall, Head of SVB’s Emerging Manager Practice, said the results underscore the strength of micro VCs, especially as their reputations and track records are growing. “With growing interest in the innovation sector from nontraditional investors, we’re predicting ample new opportunities for emerging managers. We have found that the majority of LPs are looking to invest in emerging managers for their greater likelihood to generate alpha,” Marshall said. Silicon Valley Bank surveyed 111 micro VC LPs and GPs at its sixth annual Micro VC Summit in San Francisco on October 11, 2018. 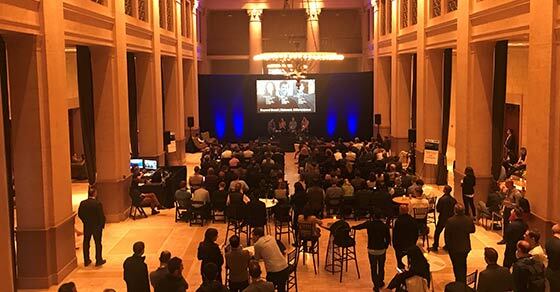 The Micro VC Summit is an invite-only annual education and networking event attracting more than 300 early-stage investors, largely comprised of general partners and limited partners in seed funds.